There is something else that I learned and that I’d like to share with you. Whenever someone offers me an opportunity to learn something or to do something good for my body, I take it. Whenever a friend says: Do you want to come along for a walk or cycle, I say “Yes”! Whenever someone offers me something to learn, I don’t even think about it but say: “Yes”! Our life has so much to offer – why not take every chance to increase our health and our knowledge. If you can’t make it and you live in NSW Australia, talk to your local library and ask them to invite me. 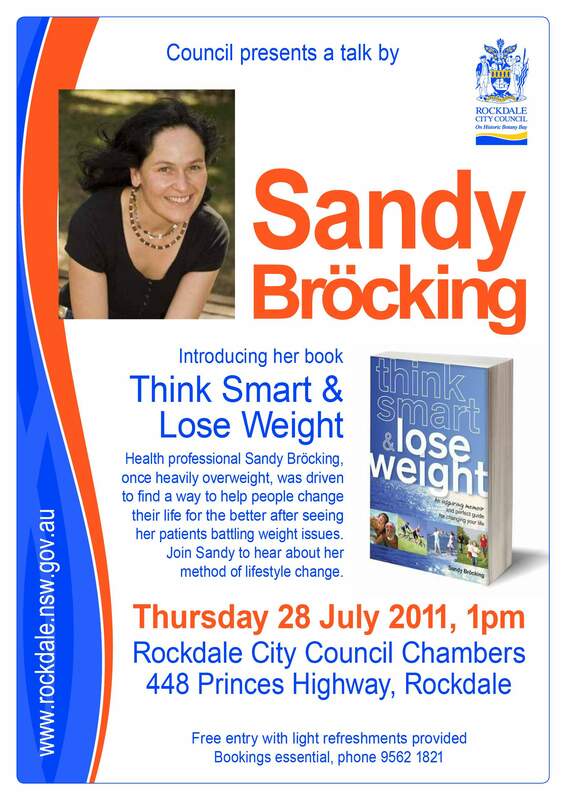 This entry was posted in Events 2011, Lessons from Life and tagged Australia, health, knowledge, library talk, Never miss an opportunity, NSW, Rockdale library. Bookmark the permalink.